The Uzbekistan International Global Oil & Gas (OGU) Exhibition & Conference is the premier oil and gas trade event in Uzbekistan, which brings together over 200 exhibitors from 25 countries seeking to meet and do business. It’s the place where senior level decision-makers converge to discuss key issues, such as development in the sector, modernisation of facilities and regional energy security. 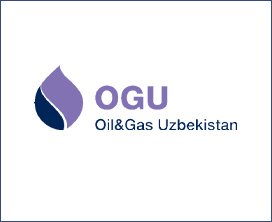 OGU is the best attended event in Uzbekistan’s oil and gas sector, taking place with official support from the Cabinet of Ministers of the Republic of Uzbekistan and Uzbekneftegaz.